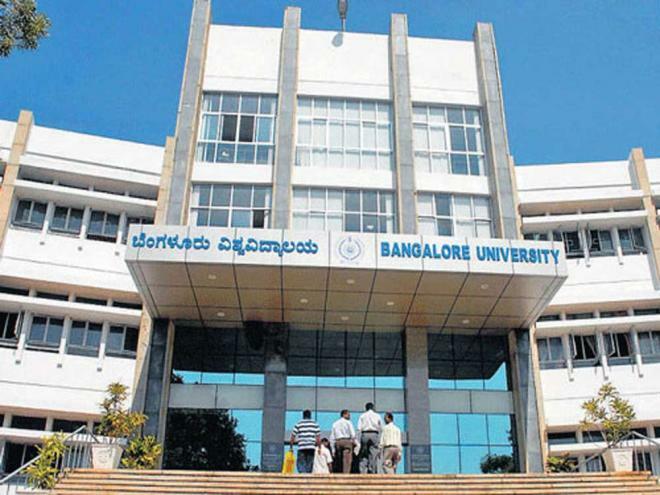 Every year the Bangalore University’s squad comprising of aprox 25 inspection committees, conducts routine inspection of all 600+ colleges affiliated under BU. The research report of this year which has not yet been presented but is soon to be presented it was revealed that these local enquiry committees found around 30-40% of BU’s colleges to be “inadequate”. Inadequate in the sense of not following the rules and regulations of the University. This inspection activity is carried on by the University’s committee once in every year in order to ensure that the colleges are functioning as per guidelines and are working towards progress. The committees final report serves as the basis for whether the license of the particular college is to be renewed or cancelled. Lat year, the license of 2 colleges were cancelled and the last to last year of 11 colleges. This year’s final report hasn’t been made yet but it is in news that the committee has found some 30-40% of the colleges inadequate. What action will be taken by BU is yet to be seen. The committees consists of academicians and university officials and the team visits all the 600 colleges under BU each year to carry on the inspection process. Another committee member said, “The library should be well-equipped and must have a librarian; that is lacking in most places. The computers section should be adequate for teachers and students. We always say that teachers should engage in research works and that is also a fault line we have been finding”. The other rules include the holding of a cultural programme once a year, the list of students passed out must include students with distinction and rank holders, there should be some provision for remedial classes, scholarship distribution, and the colleges should also try applying for NAAC accreditation. As per the Chairman, the non-compliance with all these parameters have led these colleges to become “inadequate”. On the basis of score scored by a colleges as per the parameters, further action is decided. at 65% or above, permanent affiliation status can be renewed.